If you’ve only got a 14.6bhp motorbike, you’ve got to look good. Even A1 licence holders want to pose a bit (it’s half the point of having a bike after all). The Yamaha YZF-R125 has got you covered, with a road presence and size far beyond its learner-legal motor, at a glance you might think it’s a Yamaha R6. The stroke of the single cylinder engine is longer than most to give it as much torque as possible and it pulls smoothly from crawling pace right to the red line. A top speed of 80mph will be very exciting for those stepping up from a scooter. They tend to be sold on as soon as their owner can progress to something bigger so there are plenty around in the used market too. 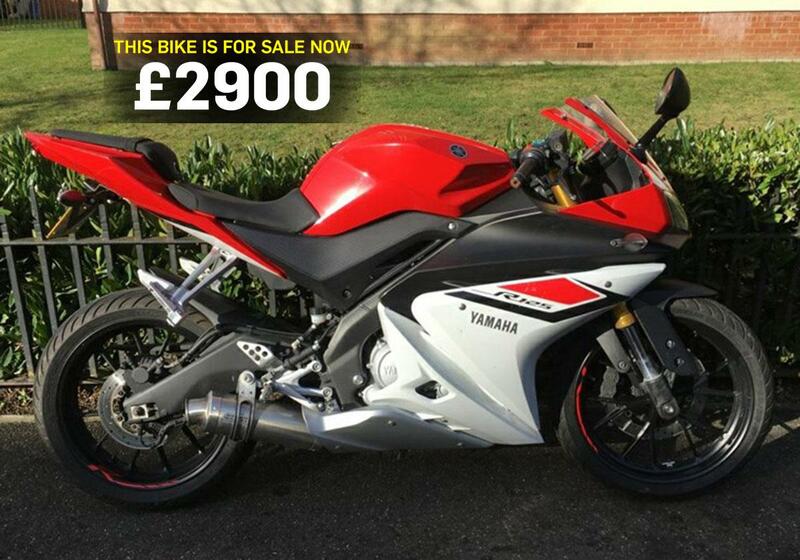 "Looking for supersport looks in a 125cc form? The YZF-R125 is that stepping stone, a great bike to learn on and give you the thrills expected from the quickest 125cc on the road! "This 124cc, single cylinder R125 finished in racing red has had two previous owners and has 19725 miles on the clock. "It is supplied with a service history, ABS, aftermarket slip-on exhaust, tail tidy and 6 months warranty"
Browse Yamaha YZF-R125s for sale with MCN today.